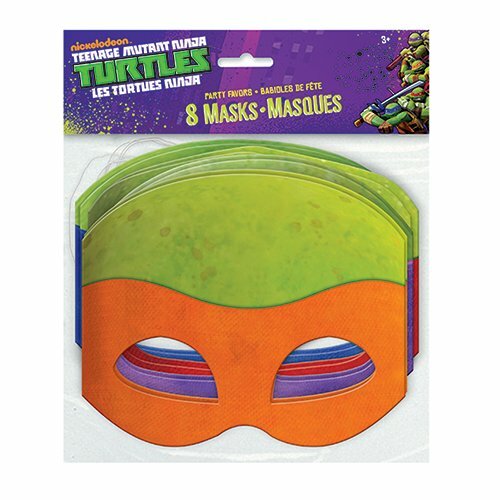 Teenage Mutant Ninja Turtles Party Masks. One package of 8 Teenage Mutant Ninja Turtles Party Masks. 2 Each of purple, blue, orange and red. Made of paper with elastic strings.